How could an album as great as this sit in a vault for 25 years before being released ? Well let me tell you.This information is from the liner notes. The band had actually completed this album in June of 1973 but it wasn't released right away because some felt there should be some additional overdubs and maybe a string section here and there. So while this stalemate was going on the record remained in limbo. Meanwhile "Columbia" executives were chomping at the bit for another release because of the success of "Birds Of Fire". Unable to deliver the third album right away the band decided to give them a live record ("Between Nothingness & Eternity") which would feature three tracks from this yet unreleased third recording. 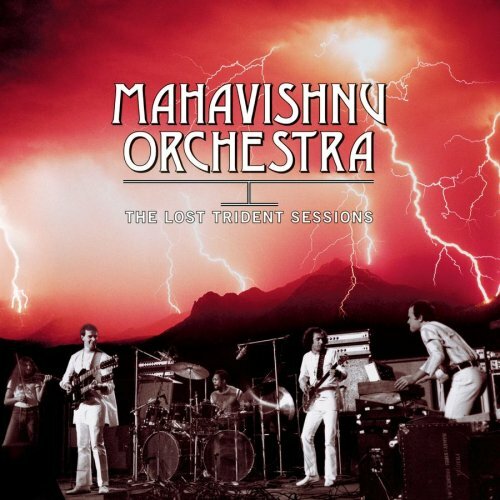 "With the live album released and another studio album in the can, the MAHAVISHNU ORCHESTRA continued to tour relentlessly.Their itinerary was exhausting-six weeks of continuous one nighters. It was emotionally, physically, and spiritually brutal, which only added stress to the group's already fragile dynamic". They didn't even have time to rehearse during this period.The other huge issue was that John McLaughlin wasn't giving the other band members official credit for helping him with his compositions. In fact for this third album Laird, Goodman and Hammer all demanded that they each have one of their songs on this record. John relented. Cobham wasn't comfortable writing for the band because he wrote music much differently then John and he felt it would have been painful to have a song of his rejected. Besides he had his solo project at that time to channel his compositional skills, "Spectrum" was released that same year(1973). The straw that broke the camel's back was a magazine article which first interviewed John then the others.The others used this platform to vent against John, and when McLaughlin read the "proof" he was both hurt and betrayed at what his band mates said.They decided to breakup officially by the end of 1973. In fact they played their last concert December 31st 1973. They each went off in different directions and soon that unreleased album was yesterdays news and forgotten. The people who had been with "Columbia Records" at that time were gone and the album was left to sit. That is until "November of 1998 when producer Bob Belden while in the midst of gathering up tapes for a Sony remastering and reissue of MAHAVISHNU ORCHESTRA's triumphant 1972 release "Birds Of Fire", Belden came across two extra unmarked quarter-inch tapes that had been lying in Columbia's Los Angeles vault. These mysterious tapes indicated they had been recorded in London but no other information was provided. Belden realized he had stumbled upon a major find.These were in fact the two-track mixes of "The Lost Trident Sessions"". I should mention that McLaughlin says he was very happy with this album. I completely agree with Sean Trane's assessment of this album. For me this is as good as the first two albums, in fact I like it better than their debut. I wish the cover art was different though because you get the impression this is a live album which of course it's not.That's my only complaint. "Dream" is a McLaughlin composition and the longest track on here at over 11 minutes. I like the atmosphere to open.Things change quickly 2 1/2 minutes in as it builds and the tempo picks up. A full sound a minute later.These contrasts continue. Check out Goodman ripping it up after 5 minutes then McLaughlin does the same after 7 minutes. "Trilogy" is another McLaughlin tune at 9 1/2 minutes. Gentle guitar to open as cymbals and drums come in. Violin follows. I love listening to Cobham drum. Listen to Hammer and McLaughlin trade off. A calm follows after 2 minutes as birds sing and wind blows. Violin comes in a minute later with guitar and keys. It turns mellow after 4 1/2 minutes and the birds are singing again. It kicks back in after 5 minutes as McLaughlin lights it up and Goodman adds to the fire. I'm laughing 7 minutes in because these guys are insane ! Very intense. Check out Cobham ! "Sister Andrea" is Hammer's song. It's kind of funky with prominant keys. A calm after a minute as violin comes in. John follows and takes over. Not worthy ! Back to the funk before 3 minutes.Themes are repeated. "I Wonder" is Goodman's tune. It's relaxed and mellow to start until McLaughlin makes his guitar fly and then Cobham takes over before 2 minutes. McLaughlin ends it. Incredible ! "Steppings Tones" is Laird's composition. Keys, bass and intricate drum patterns before violin takes the lead. It's building. Billy is so impressive. "John's Song #2" opens with sounds coming and going although drums are constant. McLaughlin breaks in at 2 minutes and steals the show. Goodman before 4 1/2 minutes. McLaughlin's back a minute later with a blistering attack. An unbelieveable track. For me this is flawless and on a par with "Birds Of Fire". Sorry for the long review I just thought the background about this lost album was important.